In India, in the region of Uttar Pradesh (Central North of the country), there is the traditional technique of Shikankary: Shikan means delicate; Kari means work. For this lesson, Shika makes us work on cotton organdy fabric (in comparison, organza is made of silk). 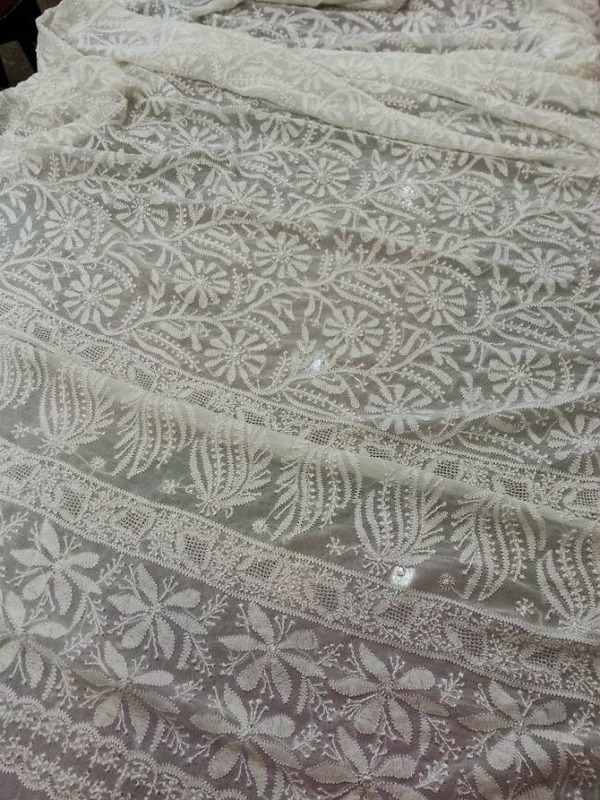 The Shikankari technique plays with shadows and exploits the transparency of the fabric. Certain stitches are worked on the right side of the piece and other stitches are done instead on the back side. 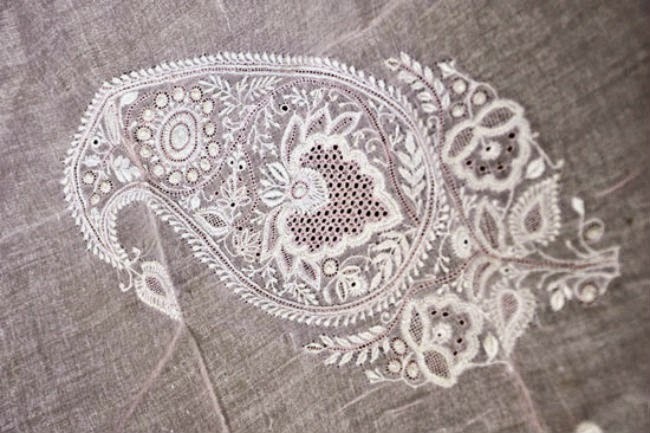 In the 18th and 19th centuries, the Shikankari technique was employed to ornate the clothing and the linen of the nobility. According to the desired effect, one, two or three threads can be used. At its source, the Shikankary was done essentially as Whitework. 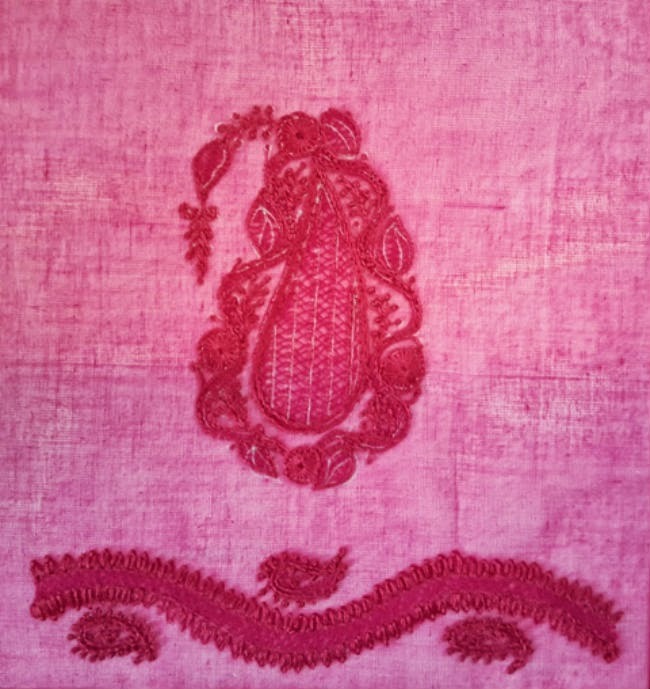 For this class’ exercise, at Zardosi School, the students rather embroider in color. To recreate the traditional effect the fabric and the threads are the same color, a modern interpretation of Shikankari in Paris.